For five years, amidst all the criticism and scandals that engulfed it, Joan Burton and the Labour Party stood steadfast and championed the scheme. Bosses, large and small, feted it; why wouldn’t they? The majority of trade unions, while not coming out in favour, were prepared to turn a bind eye. Fine Gael obviously adored it. It was in the mould of a scheme called WorkFare that their British counterparts, the Tories, used to attack the welfare state. But in the end JobBridge died alone. The Labour Party turned their back on it just before the election trying to put distance between themselves and this exploitation. 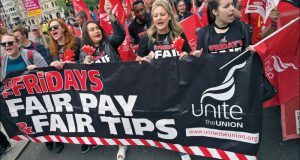 As scandal and tales of exploitation leaked from the scheme, even bosses, reluctantly, raised criticisms and the trade unions ran away from it. It was left to Fine Gael to deliver the last rites. Announcing the scrapping of the scheme, new Minister for Social Protection Leo Varadkar blamed a small number of rogue employers who exploited the scheme and pointed to a growing economy as the reasons for ending it. This is exposed as a lie when you consider that other ‘labour activation’ measures will continue and new ones will come online. The scheme itself was based on exploitation and had been irreparably damaged in the eyes of the public. A big part of this consciousness around JobBridge was down to the campaign work of ScamBridge.ie and then MEP Paul Murphy. In 2012, the Socialist Party initiated the ScamBridge campaign to expose the ‘internship programme’ for what it was – a free labour scheme based on the exploitation of the unemployed which would put downward pressure on wages. Interns were paid €50 on top of their dole for working a 40 hour week – €1.25 an hour! – of which the companies paid nothing. It meant real jobs would be replaced by unpaid exploitation. A worker in recent weeks won a court case for unfair dismissal after it was found he was dismissed so that his boss could hire an intern to do his job for free. An unstated intention was to normalise the idea of working for free and to create an ‘internship culture’ in the economy. The CWU Youth committee supported the Scambridge campaign, and other activists protested the scheme. Every criticism we raised of JobBridge came to pass as the scheme grew. Companies used the scheme to hire interns for previously paid entry level positions. Advance Pitstop infamously tried to hire tens of car valets and cleaners for their garages across the country. ScamBridge launched a day of protest at their garages. Companies who were found to be exploiting the scheme and got banned were prevented from being named publically due to a secrecy clause implemented by the department. Despite 3% of bosses in an Indecon study into the scheme saying they would use it to hire an intern to replace a paid staff members, less than 100 companies were banned from it. ScamBridge was first to publicly name and shame one of these companies: The Munster Express newspaper, who had hired an intern as a photographer. They didn’t have a photographer to mentor the intern; in reality, all they wanted was a photographer for free, as well as making him work over 40 hours a week. For the government JobBridge and other labour activation measures served a dual purpose. It gave the impression that they were doing something about the unemployment crisis and in particular youth unemployment. But also it allowed them to massage the unemployment figures – once on a scheme you came off the live register. 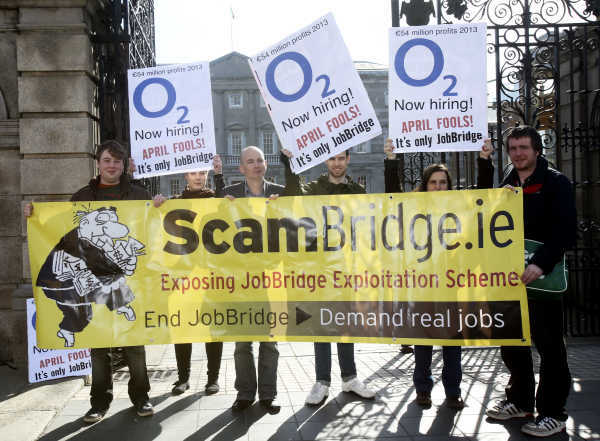 Schemes like JobBridge also acted as a push factor for young people emigrating when they considered their options in Ireland – particularly after their dole was cut to €100 a week. It provided a second handy advantage to them; it meant that they could use JobBridge to fill in the gaps which had been left in the pubic and civil service because of the cuts and recruitment embargo. Most sections of the public service used JobBridge – departments, councils and schools. This was the creation of a yellow-pack workforce. The ridiculous nature of it was exposed when Special Needs Assistant hours were cut putting many SNAs out of a job – only for schools to then seek SNAs through JobBridge – an SNA could fill their old paid position, but this time as an intern! Further anger erupted when it was revealed that because of the recruitment embargo no one who did an internship in the public sector got a job from it. This was one of the key planks of the government’s argument – that working an internship increased your chance of getting a job with that employer -– down the drain when they themselves were exposed as abusing it. 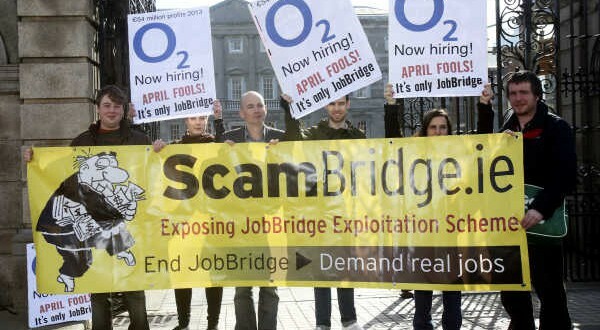 The demise of JobBridge is a good thing. However, it doesn’t mark the end of labour activation measures. Other, arguably more exploitative schemes, like Gateway (22 months, €1 an hour), TUS (€1 an hour) and in particular, JobPath, which is run by Seetec still remain. The government intend to introduce a ‘Fit for Work’ scheme aimed at the sick and disabled. It is couched in the same terms as JobBridge, but is aimed at removing benefits from people. A similar scheme in Britain has led to 2,380 people dying within 6 weeks of being declared fit for work, and another 40,000 dying within a year. It has sparked a wave of suicides and a UN investigation into whether it is a human rights abuse. 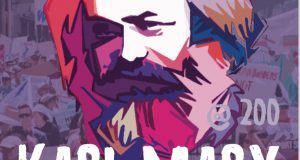 The Welfare to Work model is a neo-liberal attempt to row back on gains which have been won by workers over generations – like the welfare state. Unemployment is not the fault of an individual – it is the fault of a system which cannot provide decent, well paid jobs for everyone. Rather than force people into fake ‘internships’ and €1 an hour forced labour schemes we need to provide education, training and real jobs.